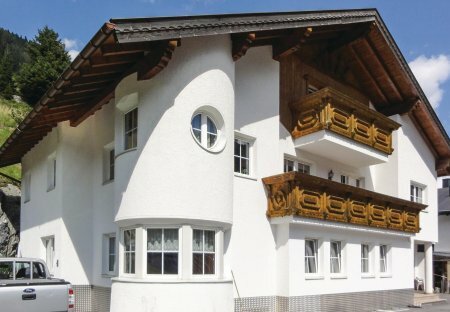 Rent apartments and chalets in Ischgl, Austria. These three beautiful and comfortably furnished holiday apartments (ATI932, ATI933 and ATI934) are in this newly renovated home located near Ischgl. Simply furnished house just a few kilometers from Ischgl. The holzvertäftelten bedrooms and especially the room with fireplace spread a rustic Tyrolean atmosphere. These three beautiful and comfortably furnished holiday apartments (ATI932, ATI933 and ATI934) are in this renovated home located near Ischgl.